As part of the process of developing the story for Truth Be Told, I pulled out the file of rejection letters as well as the original manuscript. I’d been telling stories as a Spellbinders volunteer for nine months at that point, and had immersed myself in folk tales, fairy tales, and tall tales. When I read my old manuscript, I saw that what I’d written was a tall tale. With just a little tweaking, I knew it would work as a spoken story. And though, as a writer, I’d always had vivid pictures in my head when I imagined it and hoped to see it illustrated as a picture book, now I saw it through a storyteller’s eyes, where the magic lies in the hearer imagining their own version of the story I tell. Then, thanks to the generosity of Rachel Ann Harding of Stories With Spirit and Story Story Podcast, I had the opportunity to record some stories in her studio. 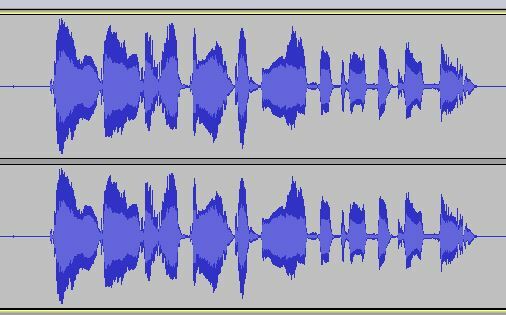 I’m extra lucky in my friendships, and so I didn’t have to search far for advice on what sound editing program to use (Audacity was the unanimous winner on my informal Facebook poll). Even better, Janet Fogg agreed to take on the job of creating the design for the CD cover and on-CD print and did a beautiful job. The whole process, from initial recording to the product arriving on my doorstep, took less than a month, but what a month it was. Working with the sound files, especially seeing the graphic representation of my voice on the Audacity screen, gave me a new appreciation for the universality of vibration in our physical world. Many of the patterns reminded me of my other visual love–clouds. Since so much of my life journey has been about finding my voice, the visual representation of it felt validating. But none of that compares to the joy in having the story finally find its way into the world. The Diffendaffer Taffy Cafe has been dear to my heart for a very long time, and now, at last, it found its voice. 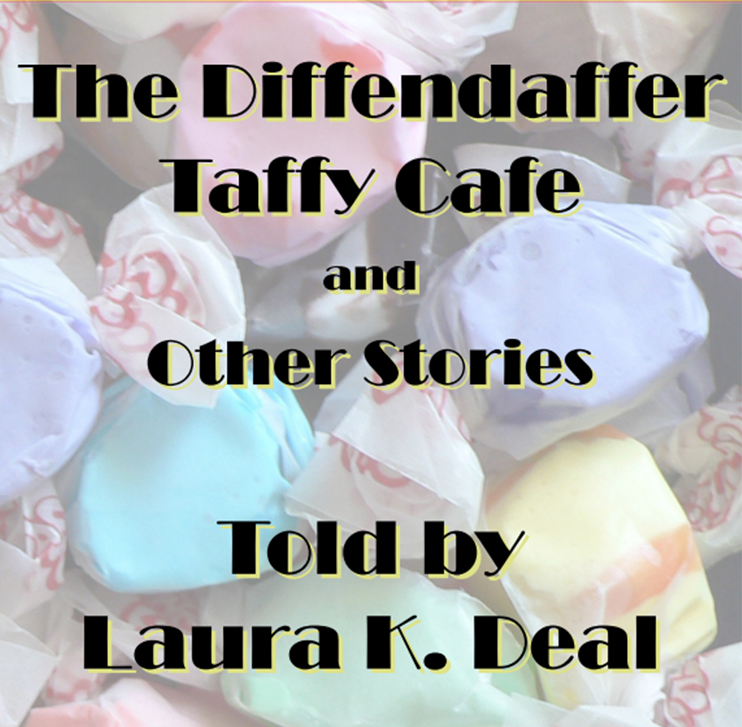 The Diffendaffer Taffy Cafe is available through CD Baby as a digital download or a CD, or email me at laurakdeal at gmail.com for a CD with a personal note.